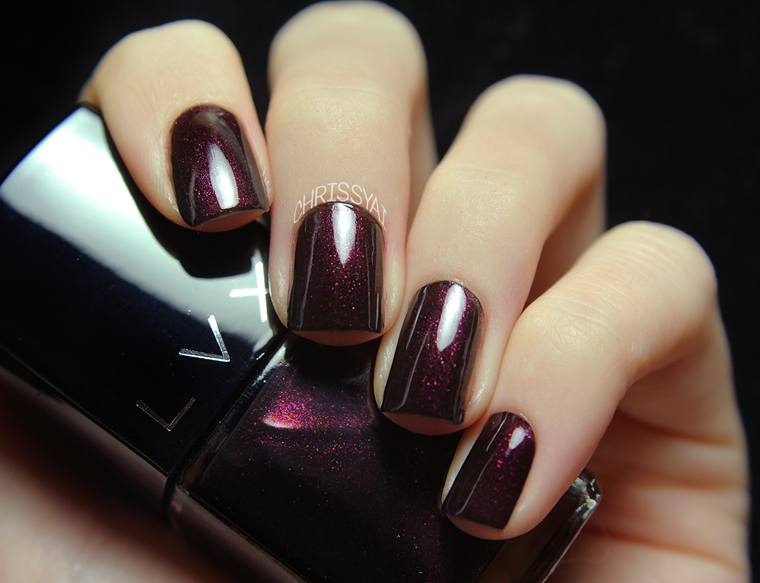 Avalon is a bronze creme polish with rose gold and brown undertones/shimmer. LVX suggests pairing this categorical copper with silver for a contrasting and daring look. 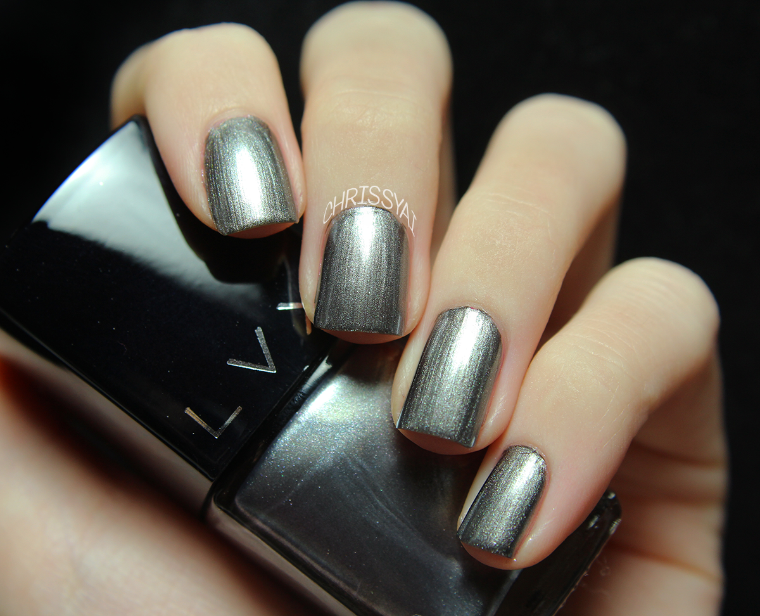 Caviar is LVX's, first ever, jet set textured creme polish. Graphite is a true silver chrome metallic. 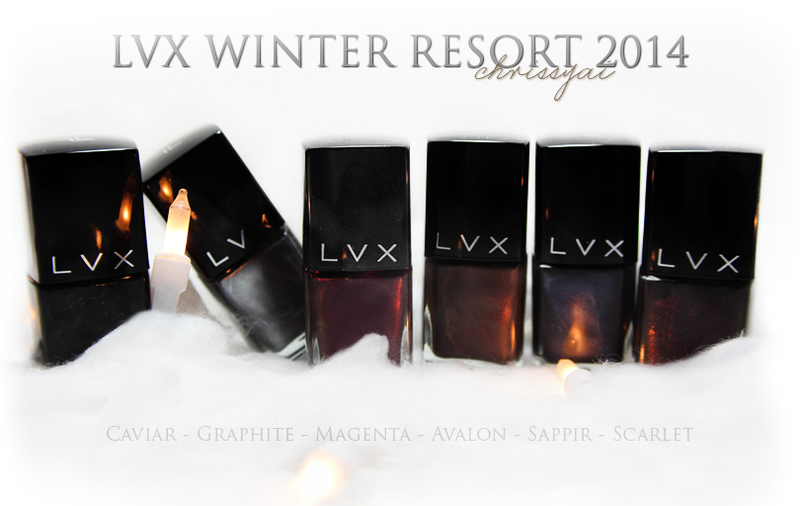 LVX suggests pairing Graphite with their very own Magenta. 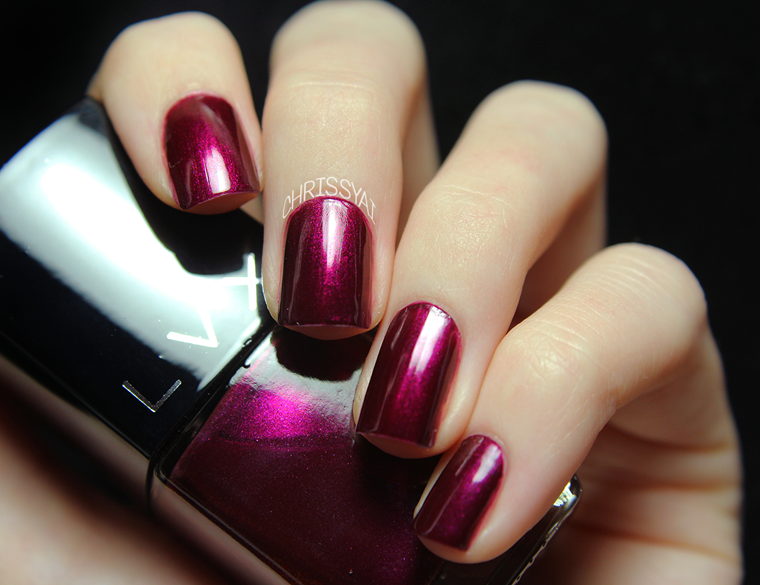 Magenta is a metallic fuschia creme. LVX suggests pairing this refreshing bright hue with Sapphire and silver hues. Sappir is a sapphire described to have complex gray undertones. LVX suggests pairing this intrepid color with silver and gray for an ultra chic look. 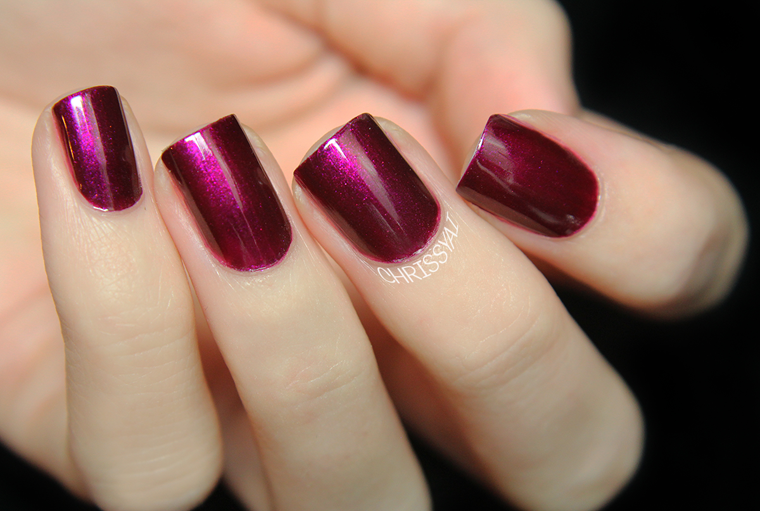 Scarlet, my personal favorite, is a stunning maroon based metallic with gorgeous shimmer that is absolutely captivating when it hits the light. LVX suggests pairing this refreshing bright hue with Sapphire and silver hues. As usual, the formulas of these polishes were effortless with the exception of Caviar. The formula was a little more dry than usual but I'm also used to using a thinner application in order to be precise, with a thicker application I had no problem. I highly recommend trying out these polish, especially the gorgeous Scarlet! Avalon is a winner in my book! Beautiful swatches! Gorgeous swatches! Thanks for sharing! Ahh Magenta and Scarlett are BEAUTIFUL! You've had me lusting over this collection since you posted it & with their sale II can no longer resist. I fear I may end up loving themas much as you do.. They are so worth it, I promise! I know you'll love them, I've even got my sister hooked since she tried LVX haha! I was loving them ALL until I reached Scarlet...OMG! I didn't even think that much awesome could be bottled. Haha! Right?! I don't believe I've seen anything like it and it's gooorgeous! I'm kind of loving Avalon. It is really pretty!